It’s been about four years since my last visit to the zoo. 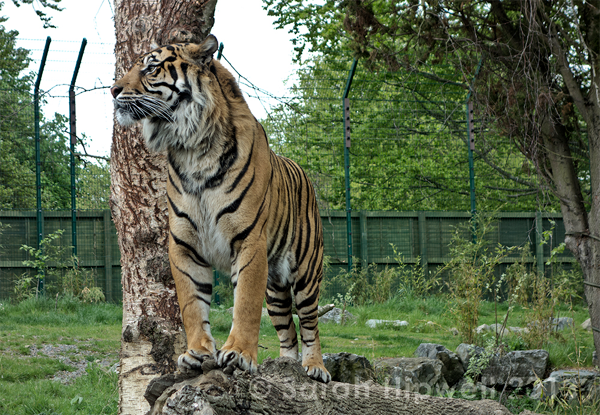 Last week my two girls had a break from school so I decided to take them along with my Mum for a day out to visit the animals at Dublin Zoo. I brought my trusty new Sony RX100 and as a backup I brought my Nikon D300 DSLR. In the end the D300 camera didn’t come out of my bag! I really wanted to test out the RX100 and see how well this compact camera performed in the wild! Actually, I had been interested in purchasing a compact camera for a while now. My husband has taken some great shots with his Retina iPhone. But I don’t have an iPhone nor do I particularly like smartphones per se. With any camera that you choose, there will always be trade-offs. I find the D300 to be a little cumbersome not to mention heavy. There are just times when a handy compact is all you want, but you still want quality shots. 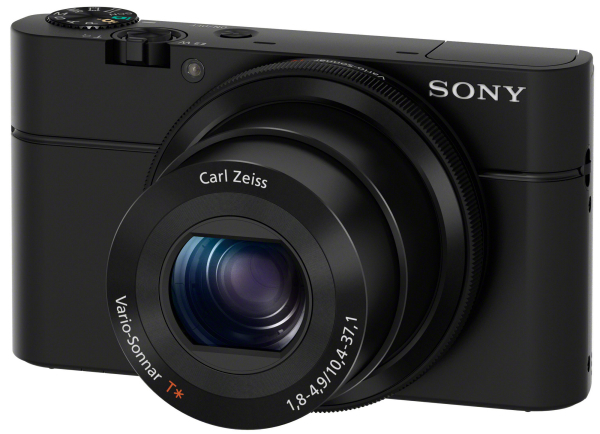 Enter the Sony RX100. It was launched last year and has received glowing reviews. The price did seem a little steep but the more I read about this camera, the more I wanted it! So I decided to trade in my Nikkor 28mm lens against the purchase of the camera. I also have a 18-200mm lens so it wasn’t any hardship to lose the 20mm. The moment we got to the zoo I put my RX100 on my sling strap. This was ideal. I haven’t enjoyed taking photos in this way for such a long time. It was pure point and shoot from the word go. I did decide to leave it on Manual mode for most of the time. I like to be able to adjust Aperture/Shutter speed/ISO quickly and the RX100 has a Function button which provides easy access to ISO settings when needed. I had previously seen a wonderful photo of Asian lion, a recent addition to the Dublin Zoo. I was looking forward to taking a few shots of him but somehow I managed to miss my opportunity. However, I get a few nice shots of this magnificent Tiger shown below. The seals were a treat to watch too. 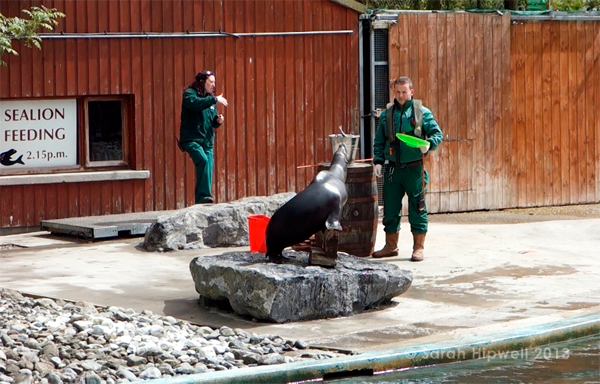 Their keeper explained a bit about these creatures and how they train them. I wanted to test the HD video quality and I was blown away by the quality, here is a screengrab that I took as a still. The zoom feature on the RX100 was a real surprise. I wasn’t expecting much but it turned out to be quite impressive. 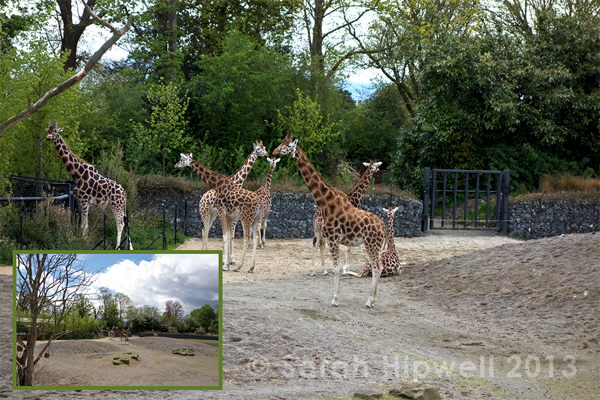 Here’s a couple of shots that I took of the giraffes, standing from the same spot. See below. Next were the Gorillas. Every time I see these primates, I’m in awe. I think it’s because we, as in humans, look so similar. 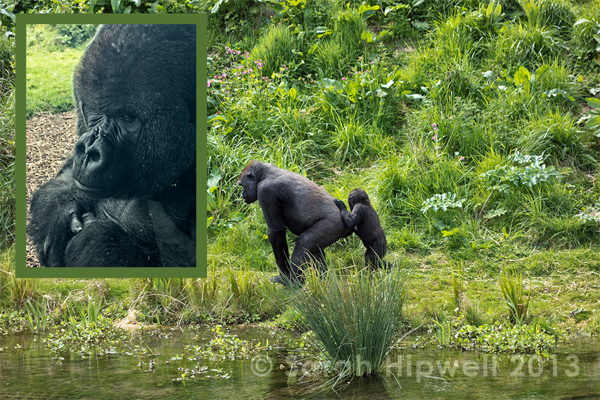 I just love the expression on this gorilla’s face. See below. 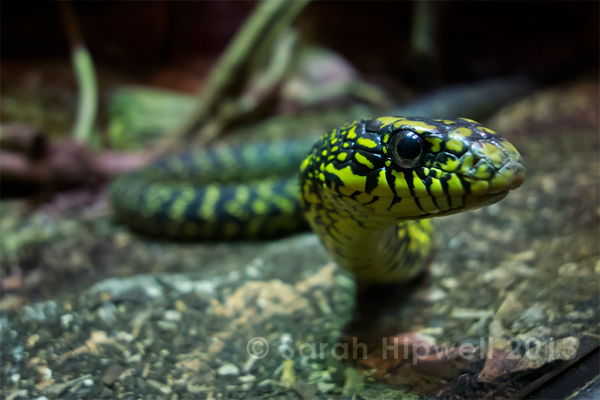 Here is an example of a close up of this snake in the reptile house at f2.5. See below. The camera also packs a 1 inch large sensor with 20 million effective pixels. I’m still getting use to this camera but it is my go to camera for the moment. All in all, the Sony RX100 is a very nice, light and powerful compact camera. Get a price on the Sony RX100 at Amazon. Learn more about this camera with our previous full review of the Sony RX100.